As the Influencer Marketing industry grows, so does competition among agencies. Data-driven decision making is clearly the strongest weapon. However, data can be quite misleading without a good understanding of what you need to focus on. We want to pick a good influencer for our portfolio and run a campaign. 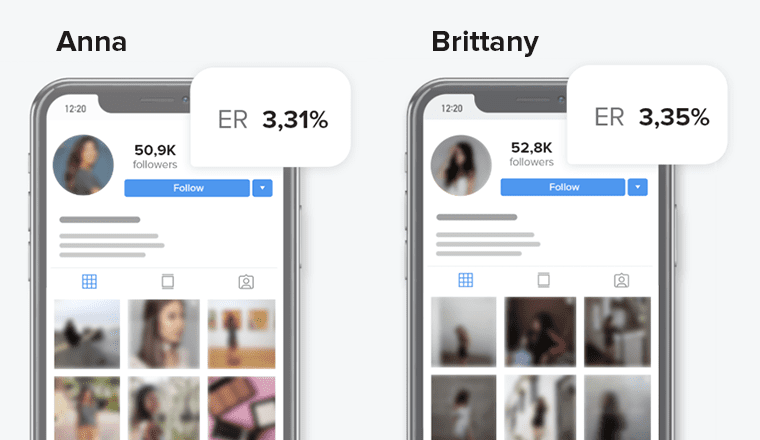 Anna and Brittany seemed to be really suitable for our project, having quite similar numbers: Anna with 50,9K followers and an engagement rate of 3,31% and Brittany with 52,8K followers and an engagement rate of 3,35%. However, this would not be enough to make our decision, as we do not have much data on the quality of their audience. Why? The key to success of any advertising campaign is to gain reach among a real audience, which would lead to increased interest in a product and sales. 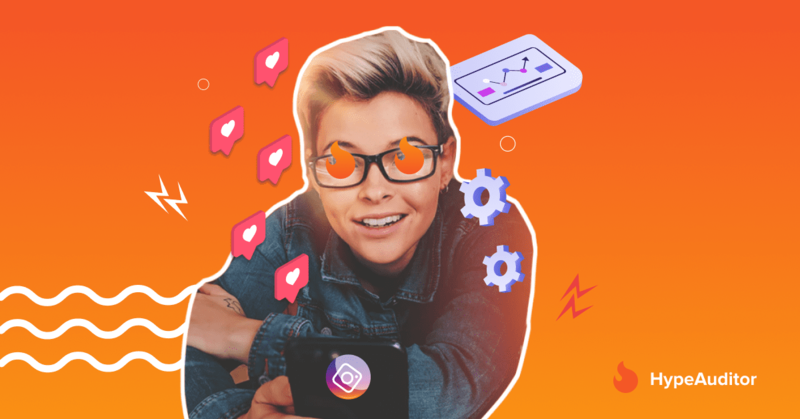 But most marketing specialists do not really know that influencers inflate the size of their audience with multiple tools that are easily discovered on the web. 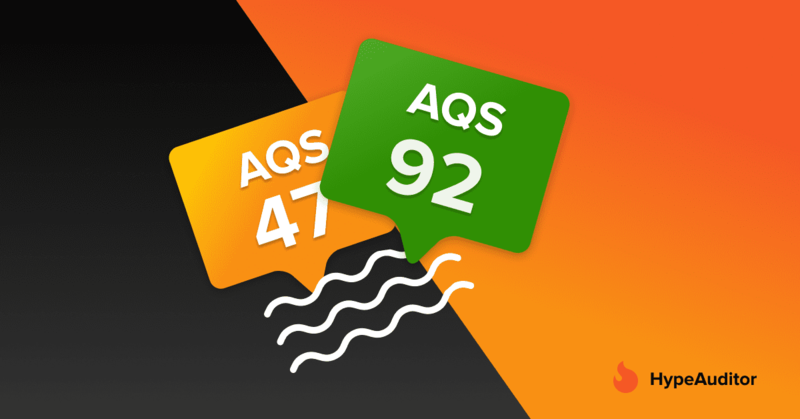 HypeAuditor solves this problem by providing you with an accurate Audience Quality Score that includes 4 key metrics for effective decision making. Engagement Rate – is the percentage of followers that are engaged with the influencer’s content. Often, this is the only metrics that agencies would draw their attention to. Why shouldn’t it be the only one? Engagement rate doesn’t reveal to you the quality of engagement, as comments and likes can be generated by suspicious accounts that are not real people. Audience Type – is the distribution of an active audience, where HypeAuditor can detect any suspicious accounts. It’s a great metric to ensure that an influencer’s followers are real people. It can happen with a campaign where you are targeting 20,000, when in fact you reach only 5,000. Growth Anomalies – detects unusual growth of followers and if the influencer has performed any suspicious activity to attract more followers. Why does it matter? 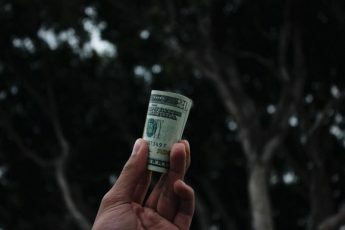 To increase an advertising post price, influencers might use multiple ways to inflate a number of followers, which you will see in this metric. Comments Authenticity – demonstrates the quality of comments. Bloggers support each other via multiple methods: comment pods, comment-for-comment, suspicious accounts commenting etc. 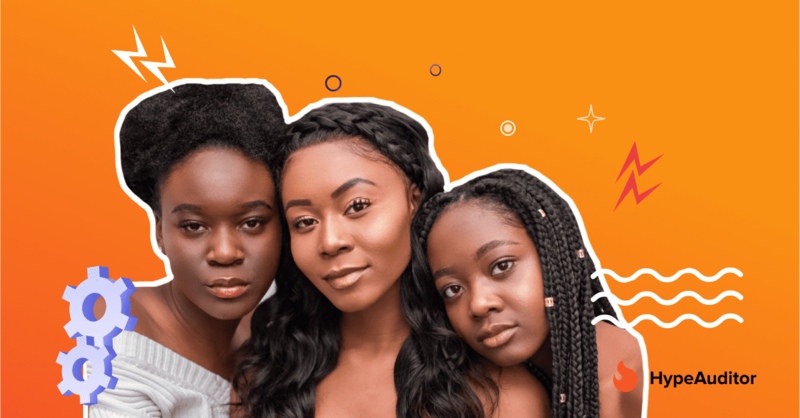 The key goal of any campaign is to reach authentic audiences and interact with them, this metric will give you a clear picture of how a particular influencer communicates with their followers. 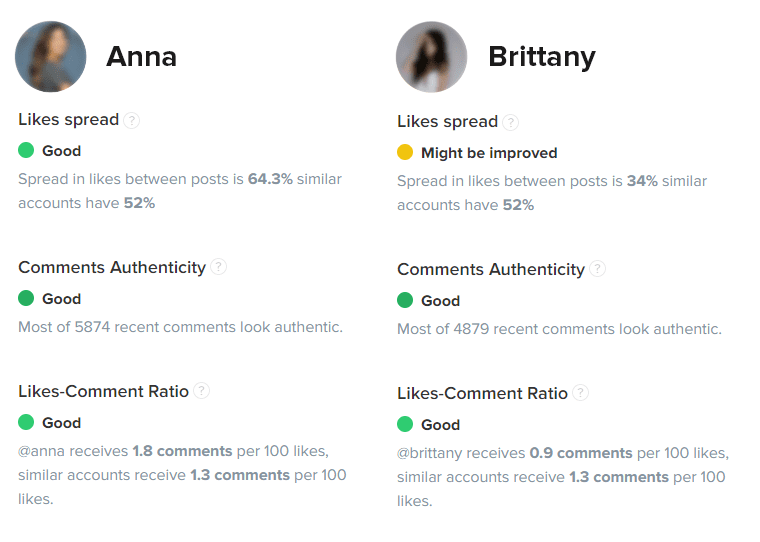 Which influencer will you go for, Anna or Brittany? Our advice would be to go for Anna. Although the number of followers is lower, she has grown her audience organically and they are engaging with her posts. There is a good likelihood that a campaign will reach the target audience and a client is going to be happy with the results. 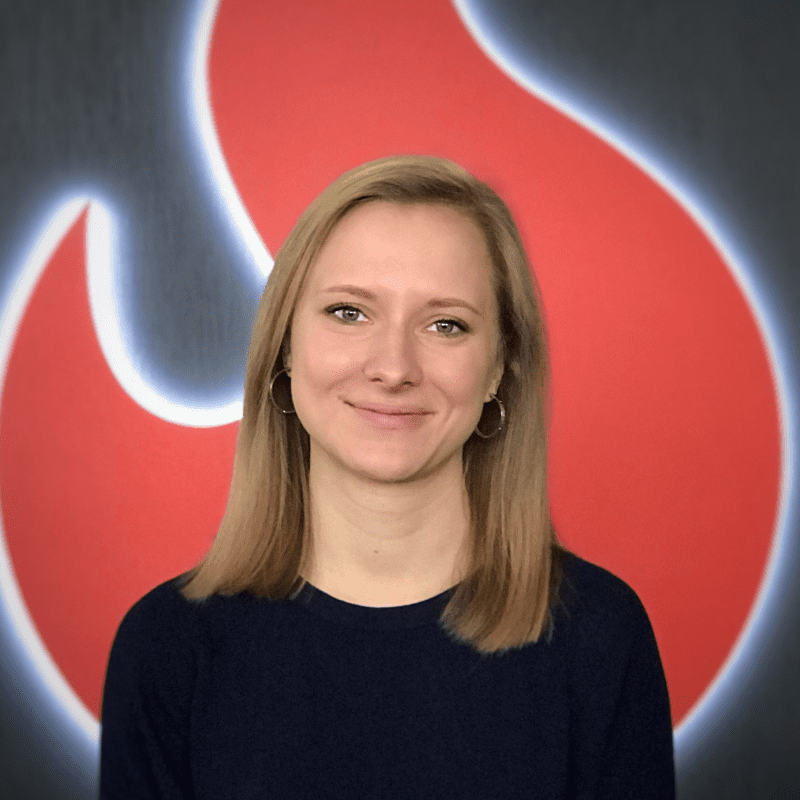 As a Customer Success Manager at HypeAuditor, I strive to ensure my customers get the best service and achieve their goals with the product. It requires an individual approach to each client, resolving main pain points, providing with most relevant business cases and necessary resources, as well as educating new team members.